It looks like Asus is fully prepared to unveil its new ZenFone series smartphone at MWC 2018 event in Barcelona, Spain starting from Monday, 26 February. We already know some details about the upcoming devices that the company plan to introduce at the event. 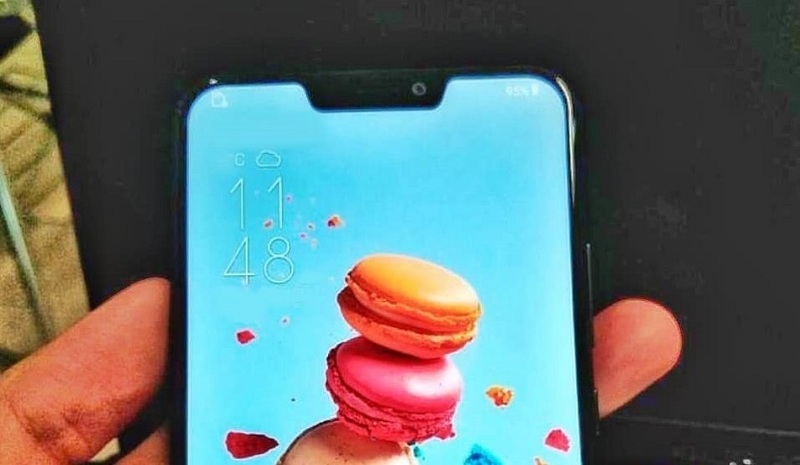 Recently, Asus ZenFone 5 front panel image leaked online. 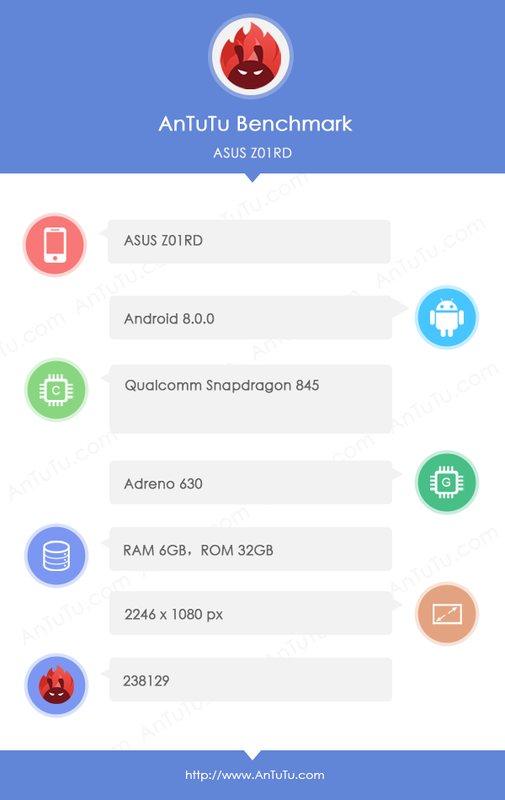 Now Asus device is listed on AnTuTu benchmark website as Asus Z01RD and reveals some specs of the phone. Asus Z01RD is expected to be the company’s new flagship smartphone. According to the AnTuTu Benchmark, the Asus Z01RD listed smartphone has Qualcomm’s next-gen Snapdragon 845 processor under the hood along with 6 GB of RAM on board. On the benchmark website, the device has 32 GB internal storage which is lit bit disappointing. Asus new ZenFone 5 flagship smartphone listed with 2246 x 1080pixels of resolution display on AnTuTu. 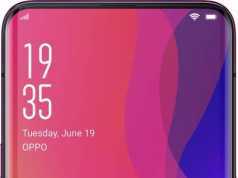 Which suggests it will come with full-screen design and 18:9 aspect ratio. The device is running Android 8.1 Oreo operating system. On the AnTuTu benchmark tool, the Asus Z01RD scored 238129 points, which is relatively lower than the score of Samsung’s Galaxy S9 with same Qualcomm Snapdragon 845 processor version. Also, Nubia device with model number Nubia NX606 managed to record a score of 271,674 on AnTuTu benchmark tool website. Asus is holding a press conference event at Mobile World Congress 2018 event on February 27 and expected to introduce its new ZenFone 5 flagship smartphone along with other devices. 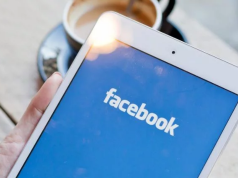 Next articleCan we really trust Google as judge of online ads?